CEO Yune, Youngmin joined to Kolon Investment in 2000 after he acquired field experiences working at SERI (Samsung Economic Research Institute) and Samsung Electronics, Inc. He has managed MIC2001-8 iPACIFIC Investment Fund, iPACIFIC 2007 IPR Fund, NH-KOLON Green 1st Private Equity Fund, KoFC-KOLON Pioneer Champ 2011-6 Venture Capital Fund, etc. as a fund manager, and Korea e Platform, Surplusglobal, eSANG Networks, Wins are his successful investment cases. Since he became a CEO of Kolon investment, Inc. in 2007 he has successfully leaded Kolon Investment to top-tier level VC by new teaming and aggressive investments. 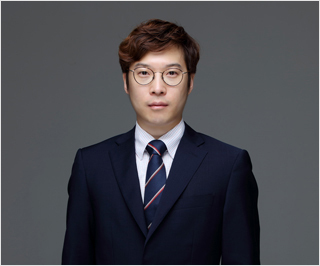 He joined Kolon Investment in 2009 and he has been in charge of head of Investment division & CEO. He worked as an investment team leader, PE head office and PI team at KTB Network for 12 years; he was sent to the American corporate body in Silicon Valley to take charge of investment on foreign companies, and he was in charge of pioneer business to create the new rapid developing businesses of emerging market in foreign countries, such as China, Vietnam, Laos, etc., while working as a PE team leader. Cutting-edge fusion IT, green tech, creative contents, senior biz, pseudo-bio, etc. are the major interested areas, and AhnLab, Com2uS, Integrant, CrucialTec, TechWing, SundayToz, Boditechmed, ELP, YMT, Pearl Abyss etc. are the major investing companies. Managing Director Kim, Wooyoung was in charge of credit inquiries services on venture companies after joining Korea Technology Finance Corporation in 1996, and he was in charge of investment business on venture companies at Aju IB Capital Co., Ltd. (previously, Kibo Capital Co., Ltd.) for 15 years from 1997 to 2012. He joined Kolon Investment in May 2013, and parts and materials, eco-friendly, healthcare industry, etc. are the major investment areas interested. Advanced Nano Products, Moreens, Huons, Omnitel, GeneMatrix, etc. are the major investing companies. Managing Director Kim, Hyun Jin Started his VC career in 2000. Prior to joining venture capital industry, Kim had worked for Samsung SDI, as a research engineer for over 6 years. Based on his professional knowledge and experiences of hi-tech industry, he was in charge of venture investment on various domestic and foreign companies, including ASEAN countries, in Muhan Investment, InterVest and SBI Investment Korea. He joined Kolon Investment in 2016 and has been in charge of venture investment. He has interested in ICT related technology, core parts and materials, healthcare industry, and consumables/services for foreign market. His portfolio consists of Digitek Systems, SiliconFile, ICD, Opticis, QSI, DR tech, Lumens etc. 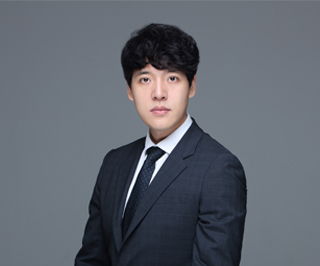 Managing Director Kwon, Ohsung was in charge of planning and promoting the new businesses and services in internet, navigation, game areas for 10 years after establishing a company in 2000. As a co-founder, he established and operated a venture company, and he also accumulated various experiences and know-how by starting and promoting new businesses at leading domestic companies, such as NHN and NCsoft. Based on the abilities and experiences in starting and promoting the new businesses continuously, he is in charge of venture investment business at Kolon Investment. After graduating as a veterinarian in 2003, Managing Director Chang-wan Joo worked in ViroMed Co. Ltd for 10 years, specializing on the research and clinical development of gene therapy, stemcell therapy, oncolytic virus and anti-cancer immunotherapy (CAR-T) for intractable diseases. After that, he joined CKD Venture Capital, taking charge of venture investment. With his diverse experience in biopharmaceutical development and venture investment as the foundation, he is now in charge of venture investment businesses in Kolon Investment. 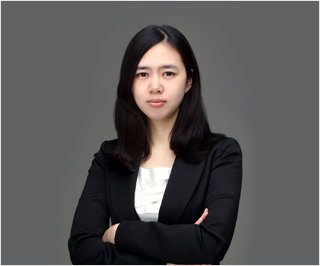 Team manager Boyoung Kim joined The Korea Economic Daily in 2012. She wrote various reports about the IT sector, specifically regarding startups, platform services, telecommunication and security services. She also wrote articles containing science and cultural contents. She is now in charge of venture investment businesses at Kolon Investment. Team manager Yoon jong Choi was in charge of TIPS(Technology Incubating Program for Start-up) operating, new business planning and developing promising technology for automobile linkage in Hyundai Motor Company since 2013. He is now in charge of venture investment businesses at Kolon Investment. Team manager Hong-soo Cho joined IoT lighting startup Merlot Laboratories Inc. in 2013. He worked as an IC design team manager that responsible for developing not only core driver IC but also final LED lighting products including application engineering. Especially, he worked to meet special demand of smart LED lighting and IoT system. In addition, he also worked as a strategy planning team manager and performed various tasks of IR, marketing, strategy planning etc. Based on accumulated wide experiences in startup, he is now in charge of venture investment businesses at Kolon Investment. 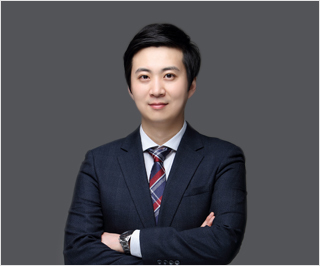 Team Manager Kangrae Lee, KICPA, started his career as an auditor and a corporate finance advisor at Deloitte Korea in 2009. After he moved to NH securities, he had successfully participated in various IPO-deals for over 6 years. With his rich experiences on corporate finance and Investment Banking, he is now in charge of venture investment business at Kolon Investments. COPYRIGHT © 2013. KOLONINVESTMENT, INC. ALL RIGHT RESERVED. DESIGNED BY OKTOMATO.